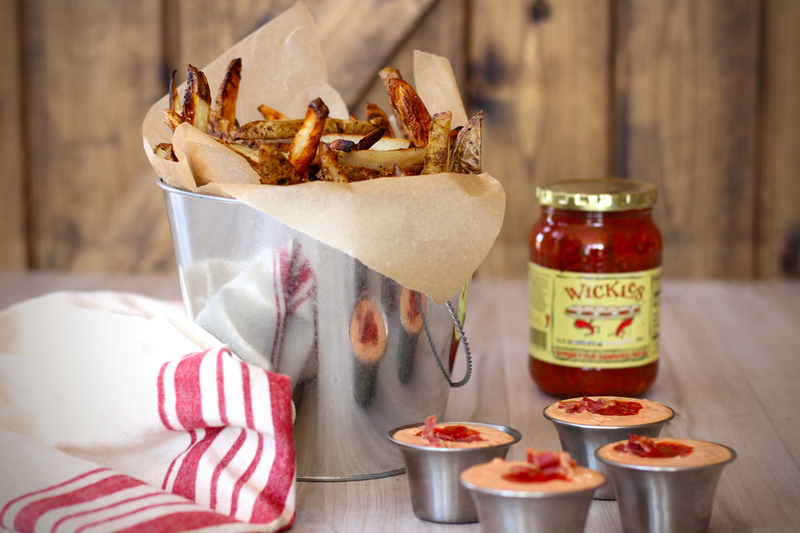 Prepare to be addicted to these crispy fries and wicked fry sauce. Preheat oven to 425 degrees F. Line two large baking sheets with parchment paper and set aside. Place the sliced potatoes in a large bowl of ice water. Soak for 30 minutes. Drain the potatoes and pat them dry. Place the sliced potatoes back in the bowl. Drizzle the olive oil and garlic mixture over the potatoes and gently toss until wedges are well coated. Place potatoes on the baking sheets, in an even layer. Season with salt and pepper to taste. Bake for 45-60 minutes, flipping halfway, or until the potatoes are crisp and golden brown. Serve warm! 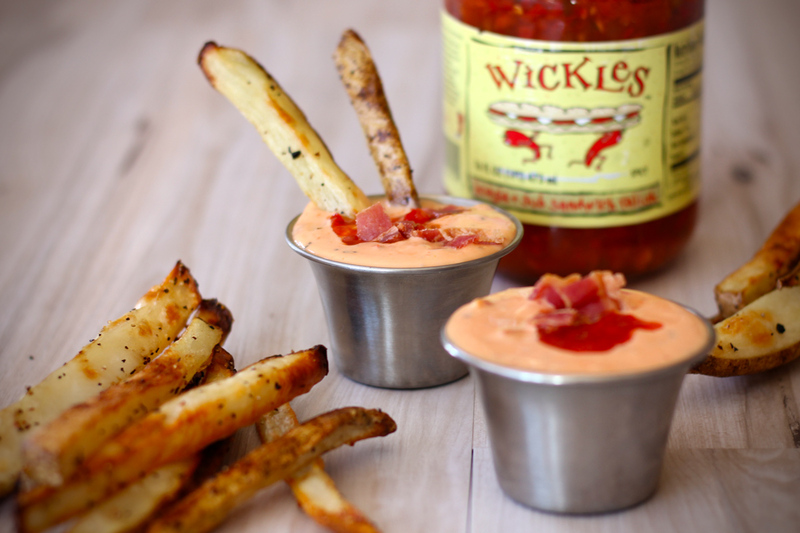 While fries are baking, mix together all of the fry sauce ingredients in a medium bowl and prepare to serve.